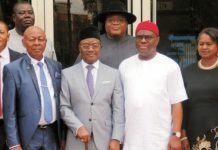 Rivers State Governor, Chief Nyesom Wike (2nd left),with his Deputy, Dr. Ipalibo Harry Banigo (right), former Speaker, House of Representatives, Rt. Hon. Ghali Umar Na'abba (2nd right), state Commissioner for Works, Hon. Dumnamene Dekor (left) and other dignitaries, at the commissioning of Edeoha-Ikata-Ochigba Road in Ahoada-East LGA, last Wednesday. Rivers State Governor, Chief Nyesom Wike will be receiving the Silverbird Man of the Year 2017 Award today while on Saturday, he would receive The Sun Man of the Year 2017 Award for the second time back- to- back. Chief Wike was announced as the Silverbird Man of the Year early this year by a board and management of Silverbird Communications after he polled the highest votes to beat other personalities. 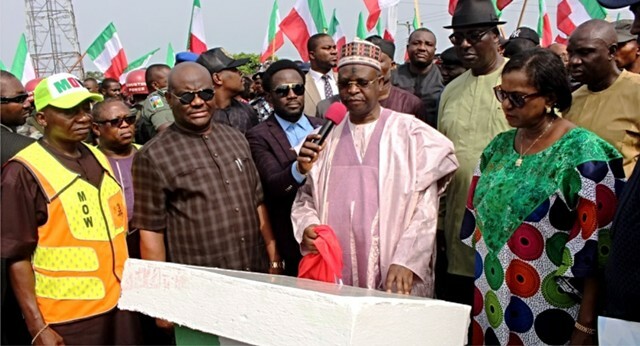 The management of Silverbird Communications which visited the governor to announce his emergence early this year said Wike was nominated for embarking on a massive infrastructural development in the state, earning him the title, “ Mr Projects”. The award will be conferred on the governor this evening at the Prestigious Eko Hotel and Suites, Victoria Island in Lagos. Wike will be honoured alongside Deji Ali, Leo Stan Ekeh and Dr Ola Orekunrin who are to receive Silverbird Extra- Ordinary Business Award. Senator Ike Ekweremadu will receive Silverbird Legislator of the Year Award. On Saturday, the governor will also receive The Sun Governor of the Year Award, which he has won for the second time in a row. 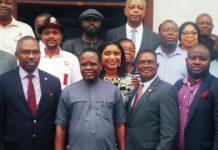 The emergence of Chief Wike as The Sun Governor of the Year was conveyed to him by Managing Director of The Sun Newspaper, Eric Osagie with other members of the paper editorial board team in Port Harcourt early this year. Osagie said the award was based on merit by those who have contributed in diverse fields of development of the nation and improvement in the quality of lives of the people. Meanwhile, as commendations herald the choice of Rivers State Governor, Chief Nyesom Wike for the prestigious 2017 Silverbird Man of the Year and The Sun Governor of the Year Awards, the state Chairman of the Peoples Democratic Party (PDP), Bro. Felix Obuah has expressed joy, saying that the choice of Wike, as the candidate of the party in 2015 was a good and wise one. In a statement in Port Harcourt, yesterday, Obuah lauded the governor for his developmental efforts, especially in areas of infrastructure and human capacity development. 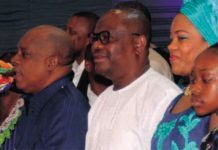 While commending Wike for winning the prestigious Silverbird Award, which presentation would be made in Lagos, today, and the Sun Newspaper Governor of the Year Award, which presentation will hold tomorrow, Obuah said the party was not surprised that the governor’s giant strides were being appreciated, even by those outside the state. He recalled that less than three years in office, Wike has remarkably reshaped the state, proving that, indeed, good governance was possible if done with sincerity of purpose. Obuah said Wike deserves to be applauded for winning the Silverbird Man of the Year and The Sun Governor of the Year Awards, respectively, considering the pedigree of those who were shortlisted before the pendulum swung in his favour. The PDP chairman declared that based on merit, all the projects constructed and executed by Wike remain a model and unparalleled among similar projects by previous administrations in the state. 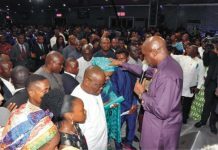 Obuah said the party was also thankful to the board and management of Silverbird Group, The Sun Newspaper and all Nigerians, who voted for Wike online for finding him deserving of the awards, adding that the awards have further showcased Wike’s good works to the good people of Rivers State and Nigeria at large. “Surely, a gold fish does not have a hiding place and that explains why Wike’s excellent performances will continue to attract attention from local, state, national and international communities. That is what democracy and good governance is all about. “With less than three years down the line in his four-year tenure, the governor has garnered awards from a horde of reputable organisations around the globe, including the major media houses in the country. These awards just go to show that Wike is working”, Obuah said. Against this backdrop, the PDP chairman urged the people of the state to continue to support the governor, adding that their support and appreciation would spur him to do more. “Wike had also won Independent Newspaper Political Icon of the Year Award, New Telegraph Newspaper Man of the Year Award, amongst others. 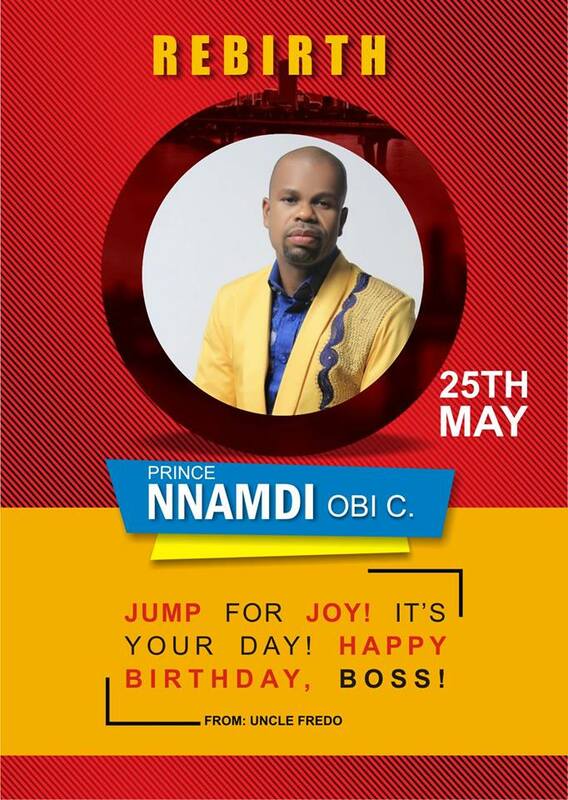 These are exceptional great feats, and we celebrate him, giving thanks to God for the achievements”, Obuah added. Also, former Speaker of the House of Representatives, Rt Hon Ghali Umar Na’abba has described Rivers State Governor, Chief Nyesom Wike as the type of leader needed for the rapid development of the country. Na’abba endorsed Wike’s brand of politics, which he said was focused on the development of all communities, kindness to all politicians, irrespective of their political affiliation, and display of uncommon maturity in all political situations. The former speaker spoke, last Wednesday, after he commissioned the Edeoha-Ikata-Ochigba Road in Ahoada East Local Government Area of Rivers State. He said with his political attitude and high level performance in office, Governor Wike will grow to be the President of Nigeria. Na’abba said: “The message I have for Governor Wike is that this kind-hearted politics, this statesmanship that you have demonstrated, please continue. “Nigeria needs politicians like Governor Wike. With this kind of posture, one day, you will become the president of the Federal Republic of Nigeria. “Should you declare for the Presidency one day, count on my support and that of those under me. What we need in this country is this kind of attitude: Attitude of friendship”, he added. Na’abba commended the Rivers State Governor for playing inclusive politics that promotes development. He said it takes statesmanship for a governor to construct projects in the communities of his opponents, and noted that the brand of politics being practised by Wike will introduce sanity into the political terrain. Also speaking, ex-Deputy Speaker of the House of Representatives, Prince Chibudom Nwuche said Wike was not just a politician, but a statesman. Nwuche said the Edeoha-Ikata-Ochigba Road was abandoned by the former Rivers State Governor, Chibuike Amaechi because of him (Nwuche). The former deputy speaker noted that Wike released funds for the construction of the road, despite the fact he (Nwuche) was a member of the All Progressives Congress (APC). He said: “I tell people that politics is about the people. People love Wike for his good works. They love him for the roads he has done for Ahoada people. I urge Governor Wike to keep being the good person that he is”. Responding, Rivers State Governor, Chief Nyesom Wike stated that he constructed the Edeoha-Ikata-Ochigba Road in fulfilment of his promise to Prince Chibudom Nwuche. Wike said: “This road was abandoned because of Chibudom Nwuche, and I gave him my word that we shall construct the road. 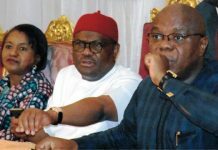 “We cannot allow our people to suffer simply because their leader belongs to another political party”, Wike said. The governor noted that under his leadership, there was no politics of victimisation because everyone is carried along in the spirit of New Rivers State. “There is no politics of victimisation in Rivers State. 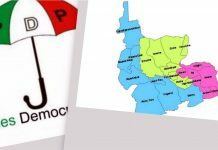 The only political party we have in this state is Rivers State. All of us are working for Rivers State”, he said. The governor urged all the people of the state to attract developmental projects, whenever they have the opportunity.